CBD Vape Oil may just be the remedy that can help kick your nicotine desire. If you’re craving a cigarette, you’re not alone – although Americans have been aware of the danger surrounding cigarettes for decades, millions of people smoke on a regular basis. Doctors and scientists began to voice concerns in the 1950s once cigarettes began to be linked with lung cancer, blood clotting, heart disease and dozens of other ailments. Anyone who has smoked can tell you that it’s incredibly challenging to give up cigarettes, which is why many people search for alternatives that bring the satisfaction of smoking without the health risks, including CPD E-Liquid. If you’re a smoker, you may ask yourself, “Can CBD Vape Oil help me quit cigarettes?” There’s compelling evidence that CBD Vape E-Liquid could help people smoke fewer cigarettes while also experiencing the health benefits associated with CBD. Let’s explore why CBD E-Liquid is loved by so many former cigarette smokers and why vaping CBD is gaining traction even among those who don’t smoke. As we’ve established, Hemp Bombs CBD E-Liquid is a safer alternative to many of the tobacco products on the market. For starters, our E-liquid contains no nicotine, which means that it isn’t addictive. Because Hemp Bombs uses pure CBD isolate, you won’t fail a drug test or get high from Hemp Bombs Vape Oil. Our CBD E-Liquid is made with food-grade suspension liquids like vegetable glycerine and propylene glycol, and we test our CBD Vape Oil internally and in third-party labs to guarantee its purity. Instead of worrying about the ingredients list, you’ll do your body a favor by inhaling CBD and experiencing its therapeutic properties. That’s why it’s popular even among customers who haven’t smoked cigarettes. CBD can be taken by anyone in whichever form is most comfortable, and vaping CBD is an easy way to experience the supplement’s advantages firsthand. Why should you try CBD Vape Oil? Let’s explore what CBD is, why it’s so popular, and how it affects humans. CBD, or Cannabidiol, is a compound extracted from either the Hemp or Marijuana plant. While some CBD contains trace amounts of THC, all of Hemp Bombs CBD Vape Oil has zero THC, and it is derived from Industrial Hemp, which makes it federally legal. CBD has been shown to have an array of potential health benefits, including reducing inflammation, helping treat seizures and helping tame social anxiety. Additionally, many people report a positive mood change and an increased sense of wellness after taking Hemp Bombs CBD. That’s because of the Endocannabinoid System, or ECS. The ECS is the scientific name for the group of cell receptors that respond to CBD in the human body. Additionally, CBD has been shown to increase the amount of anandamide in the brain, a neurotransmitter that is also known as the bliss molecule for its mood-boosting properties. CBD can improve sleep quality and even relieve pain, which leads to your mood and health being affected positively. It’s notoriously difficult to quit smoking cigarettes, and willpower isn’t the only tool you’ll need. Research has shown that only 5 to 8 percent of adults who try to stop smoking can stay away from cigarettes for six months or longer. Traditionally, smokers may try therapy, nicotine replacement, prescription medication, or even quitting cold turkey, all of which have varied success rates. In 2003, a new option arrived: Smokeless cigarettes, which is also known as vaping. When it was first introduced, vaping simply gave smokers a less harmful way to consume nicotine by vaporizing it. In the 15 years since modern vaping became a worldwide trend, things have changed. Vaping isn’t only for smokers, and not all vape e-liquids contain nicotine or toxic chemicals. CBD E-Liquid is a vaping option that contains all-natural ingredients and provides a wellness boost. You can even vape nutrients — getting your daily dose of Vitamin B12 while vaping is a trend among people who have vitamin deficiencies. Because vaping is relatively new, studies are continually being conducted about whether it’s detrimental to long-term overall health. If you’re vaping liquid nicotine, experts say you could face some of the same dangers that come with smoking. You could even inhale harmful toxins, which is why it’s essential to research e-liquids and read the ingredients list. Some doctors have shared concerns that the long-term health effects of vaping nicotine are still unknown. But the danger all depends on what’s in the vape tank. 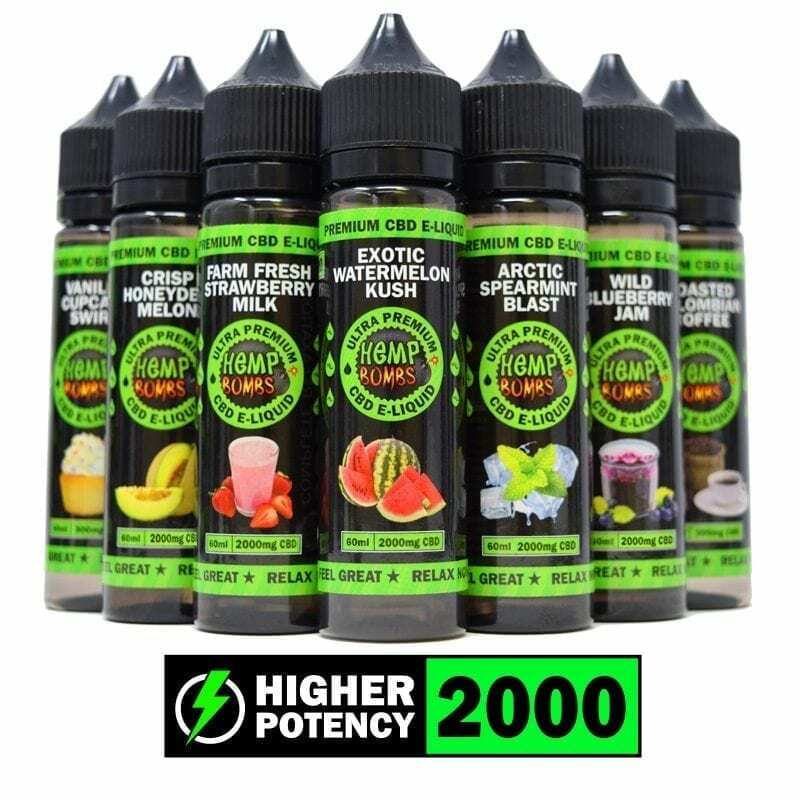 While nicotine may be harmful in the long run, Hemp Bombs CBD Vape Oil hasn’t been shown to have any of the risks associated with cigarettes or nicotine e-liquid. CBD Vape Oil can make you feel better both physically and mentally, which may be because it doesn’t contain harmful chemicals or unnecessary additives. How Does CBD Vape Oil Help Smokers? There’s compelling evidence that CBD vaping could help cigarette smokers who want to quit nicotine and find an alternative that’s beneficial. A study published in June 2018 found that smokers who start vaping are more likely to quit smoking – even if they have no intentions of giving up cigarettes when they begin vaping. Another study from University College London found that smokers who tried CBD vaping were able to cut the number of cigarettes they smoked by 40 percent. Because vaping has a social aspect and produces a vape “cloud” like that provided by cigarettes, it may be able to replace some of the non-nicotine cravings that former smokers have after giving up cigarettes. What Does CBD Vape Oil Taste Like? 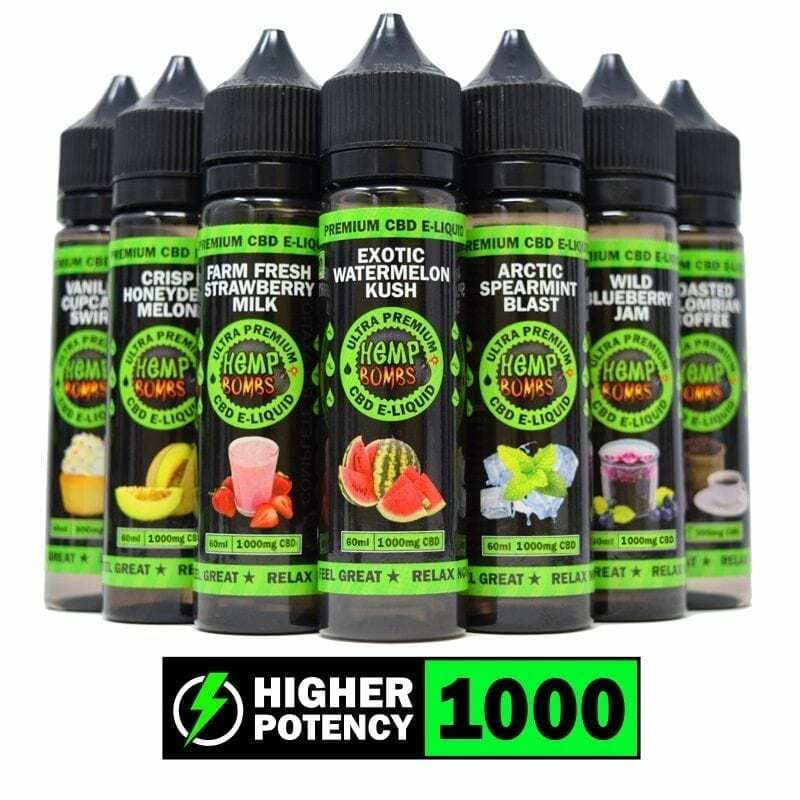 Hemp Bombs CBD Vape Oil is unique for its pleasant taste that makes vaping a satisfying experience. Our CBD Vape Oil comes in a dozen flavors, including Wild Blueberry Jam, Roasted Colombian Coffee, Glazed Chocolate Donut, and our most popular flavor, Exotic Watermelon Kush. If you aren’t sure which flavor will work for you, you can purchase a CBD E-Liquid bundle from Hemp Bombs. Our bundle allows you to mix-and-match multiple flavors at a discount to figure out which one is your favorite. 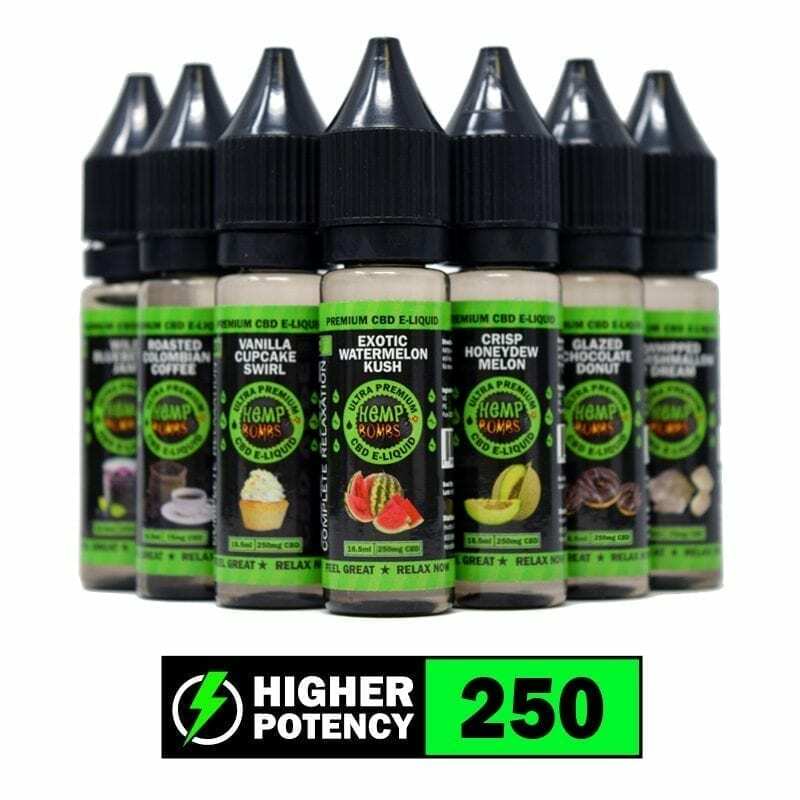 If you prefer to consume CBD E-Liquid without any added flavor, Hemp Bombs CBD E-Liquid Additive is flavorless and can be added to the E-Liquid of your choice. You’ll get the wellness boost that comes with CBD consumption without having to change your existing vaping routine. Read more about the benefits of Hemp Bombs CBD Vape Oil. Men’s Health – People Are Vaping Vitamins—But Is That Really Good For You? Addictive Behaviors – Cannabidiol reduces cigarette consumption in tobacco smokers: preliminary findings.